At 5:30 in the morning, myself and an interpreter were dropped off by motorcycle taxi to a family’s house. 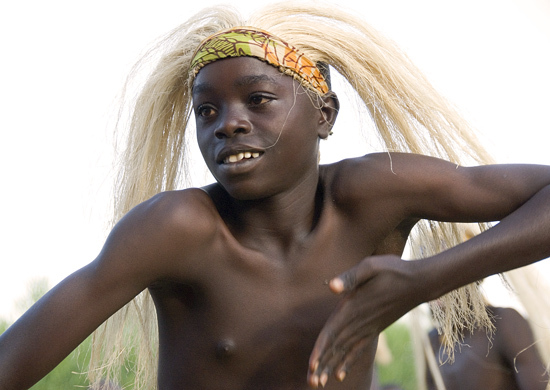 Their children are sponsored by the Portland, Oregon, based Itafari Foundation. Unreachable by car, transportation within the village is on foot or by an old gearless bikes for the lucky few. I spent my time there following and photographing,“the day in the life” of two children, brother and sister. Sunrise – an hour after I arrived to Claudette’s house. It was dawn when we arrived at Claudette’s house. Her 16 year old brother, Justin, and two children, John Claude (8), and Naomie (10), were already awake. The children were finishing the first of their morning routines, taking the chickens out of the house and putting them in mud walled pen outside. At night the chickens sleep inside to avoid theft. This chicken wanted to come back in. The family I was with are among the most impoverished in Rwanda. Where they live has no running water, and no electricity. 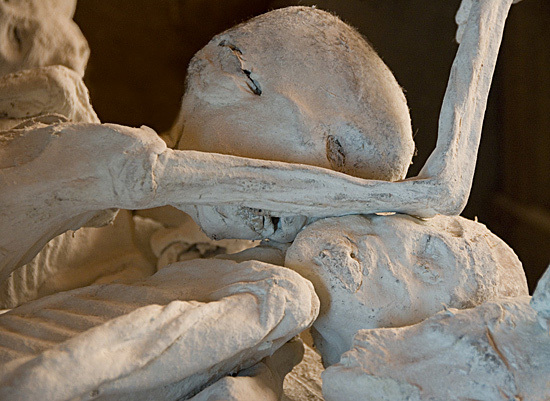 Their house was made of mud and bricks with a fabricated sheet of metal for a roof. The floors were the hard red dirt common to this part of Africa. John Claude boils water for breakfast in the kicthen, a cooking area on the side of the house. 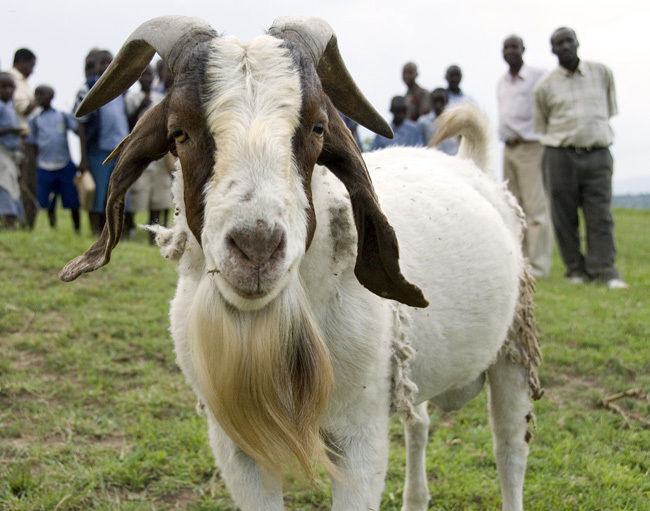 In the Kayonza district of Rwanda’s eastern province, a carbon offset program established by the U.S. based Clinton Foundation is helping to avert global climate change, increase food yields, and raise living standards for the local people. In Rwanda and Malawi alone, over 4 million trees have been planted through the Clinton Hunter Development Initiative, saving almost 450,000 tons of carbon. Cassava, native to South America, is one of many food bearing shrubs and trees growing in Rwanda as part of this program. 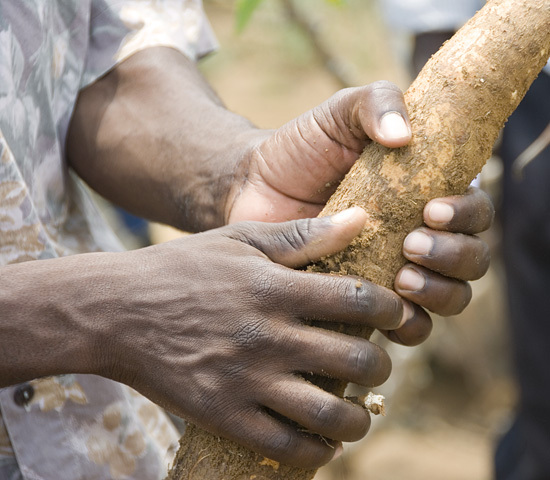 Grown across the globe, cassava is one of the biggest sources of carbohydrates for meals in developing countries, and is especially well suited to sub-Saharan Africa’s poor soils. With a starchy tuberous root similar to potato in texture and flavor, cassava can be boiled, fried, baked, or dried and ground into flour. In his cassava fields, with roots in hand, this farmer is able to harvest without damaging the trees. 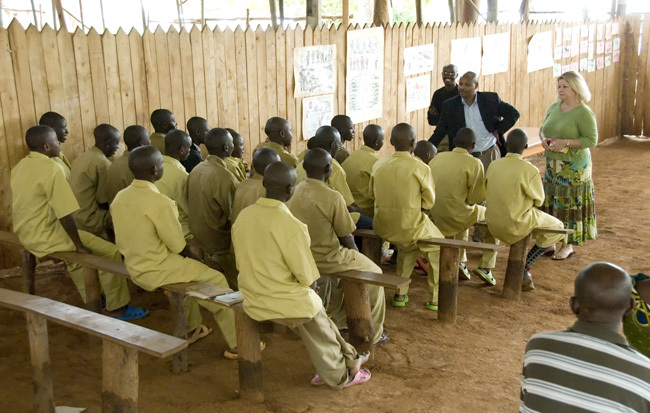 TIG is a Rwandan program allowing people found guilty of participating in the genocide to serve all or part of their sentences doing community service. TIG, “Travail d’Intérêt Général,” is a French acronym that means “works of general service.” The program is normally referred to as community service, but it is not the same kind of community service we see in the United States. TIG prisoner giving thumbs up. 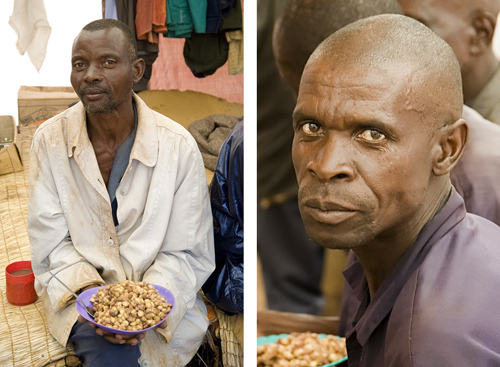 The program allows eligible prisoners to complete their sentences through participation in activities such as clearing ground, road building, construction of houses for genocide survivors, clay mining, and brick and tile manufacturing. Participants are referred to as tigistes and they engage in hard physical labor: breaking and hauling rocks, digging with picks and shovels, and manually moving earth by hand, sack, or wheel barrel. Many of the workers do not wear shoes. Quadruplet girls bring four times the joy. Quadruplets, Butaro Hospital – Partners in Health, Burera District, Rwanda. The summit Mount Muhavura volcano is 4127 meters. 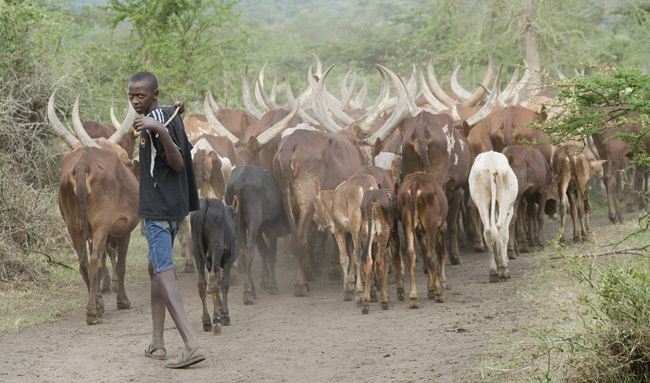 The Rwandan village of Nyamucucu is too small to be found on most maps. An extinct volcano, Mount Muhavura, dominates the western sky. 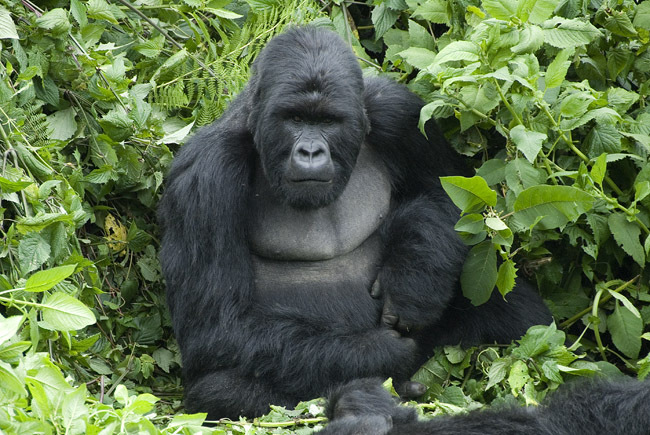 The eastern border with Uganda is unmarked, somewhere between Nyamucucu’s high ridge top and the lush valley below. Uganda is seen from behind the Nyamucucu village school at Rwanda’s northern border. At 9:30 am a team of doctors and clinicians from the Butaro Hospital, run by the Boston based Partners in Health, sets out in three vehicles for a one hour drive to Nyamucucu. A mobile health clinic will be set up at the local primary school. The road there, in places no more than a dirt path, winds slowly down a hillside, across a valley floor, and up a steep terraced ridge. Building Kigali Parents Secondary School. This collection of photographs is from the building of Kigali Parents Secondary School, in Kigali, Rwanda. Building in the developing word is labor intensive. It’s rare to see construction equipment and vehicles. The following images are of concrete being mixed, transported, and poured for the second floor of the school. 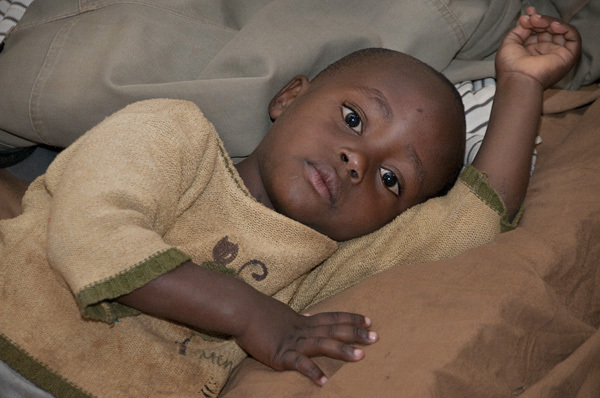 Shelter and food are provided for orphans by the non-profit, OVC-Rwanda, in Kigali. 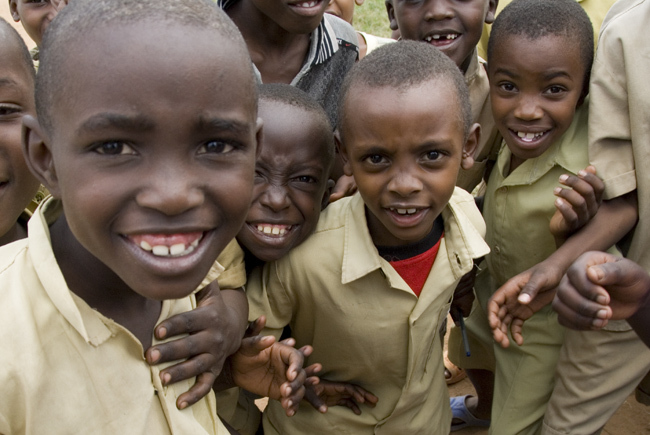 There are an estimated 860,000 orphans in Rwanda, as last reported by unicef. The 1994 genocide, AIDS, and hard living conditions account for much of that number. Forty-five of them, from the streets of Kigali, Rwanda, are fortunate to receive even minimal care, in an orphanage run by the nonprofit, OVC Rwanda. In the shadow of the downtown business center, overlooking a slum area of Kigali, the orphanage is in a desperate state of disrepair. It’s founders and community members are unable to raise appropriate funds to update the structure beyond four walls and a roof, supply needed school books, and at times provide enough food for the children. At the top of the hill, Kigali city center is prominent. 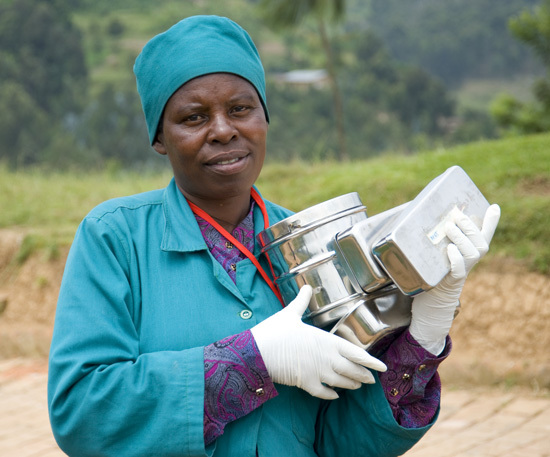 How do you bring lighting to the 98.6% of rural Rwandan households that have no access to electricity? The answer is entrepreneurship, micro finance, pedal powered generators, portable pod lights, and an innovative company called Nuru (Swahili for light). 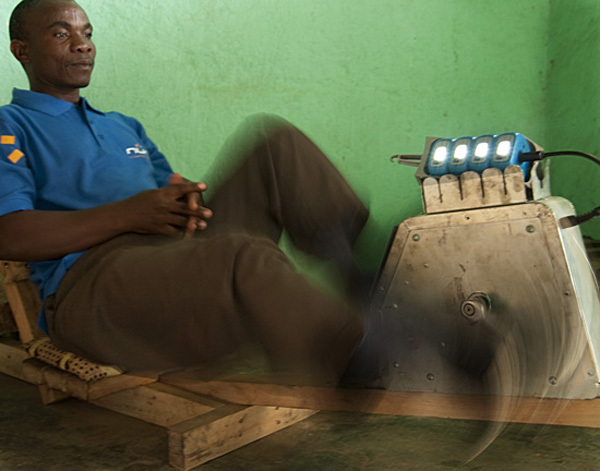 With an award from the World Bank’s Lighting Africa competition, Nuru spent the past year working directly with rural Rwandans, co-creating the first commercially viable pedal generator to bring renewable lighting to areas currently dependent on kerosene lamps. The concept is an innovative, efficient, healthy, and environmentally friendly way to bring market based solutions to the one third of the global population living in poverty – a staggering 2 billion people. Nuru power cycle charges 4 lights after 20 minutes of pedaling. 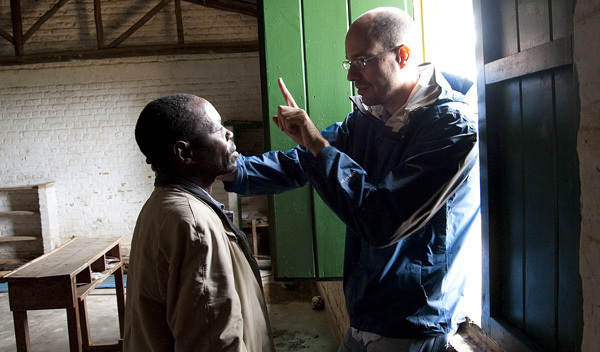 Arthritis affects people worldwide – elders in Rwanda as well as the U.S. 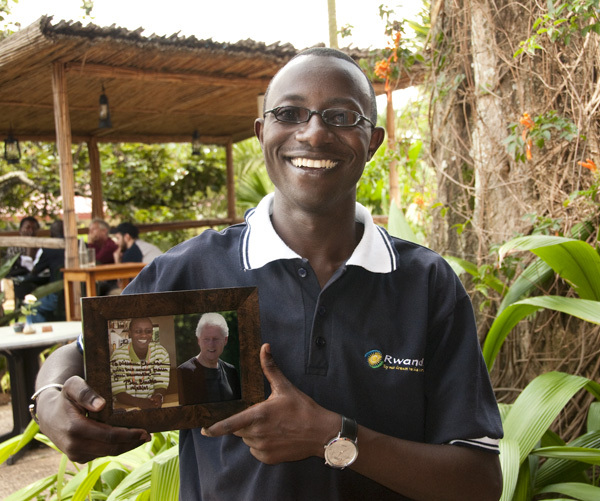 This afternoon William Clinton, from Kigali, Rwanda, received a signed photograph from U.S. President William Clinton. Two types of medicine are being practiced at the Butaro hospital in northern Rwanda; one treats diseases of infection, the other treats the disease of poverty.Using local building techniques, materials, and labor, construction of a new hospital building is now underway in northern Rwanda’s Burera district, near the border with Uganda.Lush terraced hillsides, subsistence farming, and Lake Burera dominate the one hour drive from the nearest paved road – less than 15 kilometers as the crow flies. 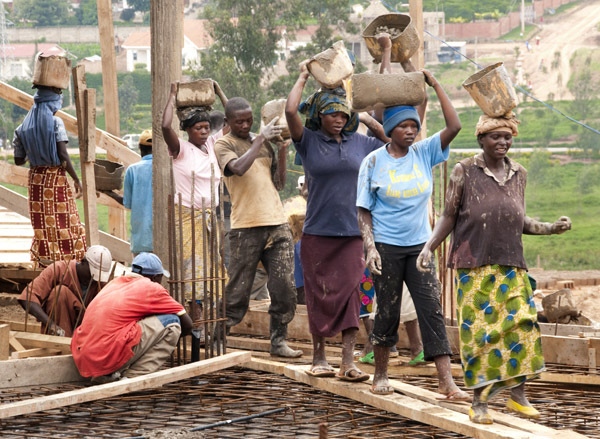 Rwanda is a country of great natural resources; not mineral deposits, not oil, not coal, not gem stones hidden in the earth.Rwanda’s natural resources are home grown – its people. In September 2000, the largest gathering of world leaders in history adopted the UN Millennium Declaration, committing their nations to a new global partnership to reduce extreme poverty. They set out a time-bound series of targets known as the Millennium Development Goals (MDG), with a deadline of 2015 for meeting them. Copyright Adam Bacher. All rights reserved. Absolutely no use without prior authorization. 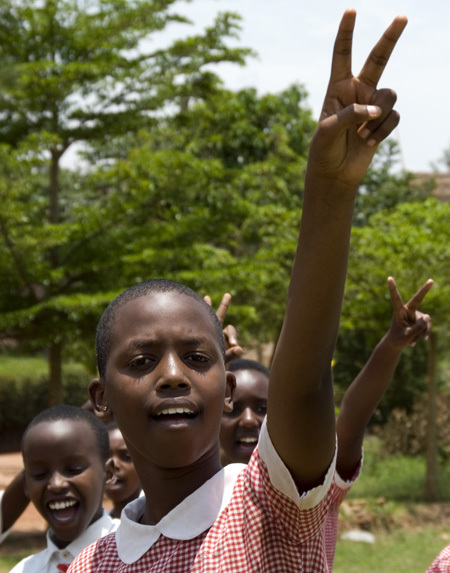 In times of armed conflict, children are among the most vulnerable – as victims, hostages and worse.During the genocide in Rwanda, one million people were killed in the span of one-hundred days.The killers did not discriminate;men, women, or children, any who were identified as from the “wrong” ethnicity were killed. 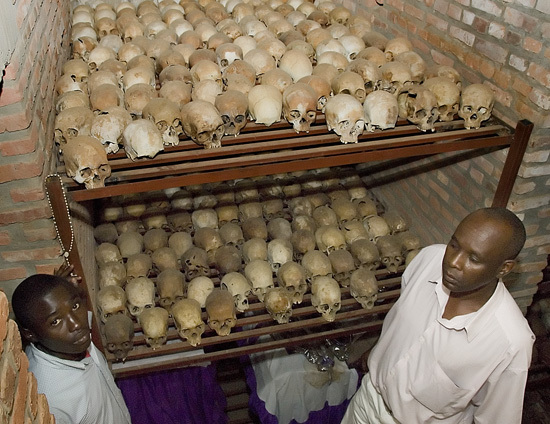 3:00 a.m., April 21st, 1994: Soldiers loyal to the genocide in Rwanda encircled the technical school in Murambi. Construction of the campus had not been finished when the genocide began. Within 48 hours all but 4 people were massacred; some blown up by grenades, some shot, most hacked to death by machetes. Emmanuel Shamakokera, is the national director for Assist Rwanda. An organization dedicated to helping young Rwandans in difficult circumstances overcome adversity and rise above the challenges in their lives. He is described by his associates as one of the hardest working people they know, devoting most of his waking hours to the youth of Rwanda. Vision – To look at something and see what it might become. 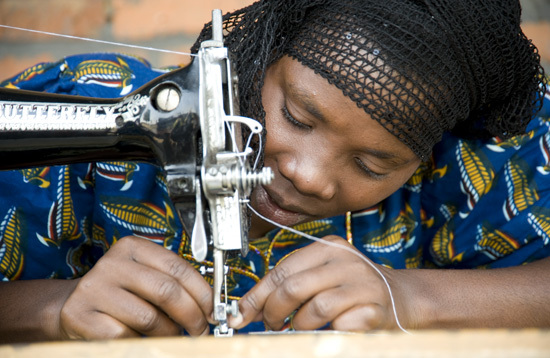 I have been in Rwanda for just under a month, and find myself captivated by the spirit and beauty of the people. I feel blessed to be here, and as much as I miss my family, I am sad to be leaving tomorrow. Ezra with Bogart and Bergman in the front lobby of his studio. These images are from my first day in Kigali. My new friends Francis and Chrysologue drove me around Wednesday afternoon, 09-26-07.